Japan-based ramen restaurant Kourakuen has introduced a rather unique menu option for Valentine’s Day that possibly tastes better than it looks or sounds. 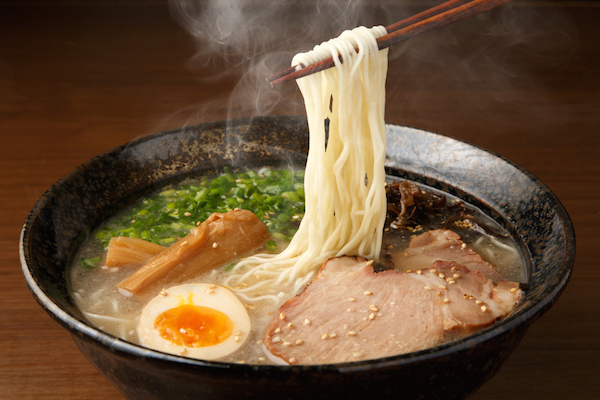 From 1 to 14 February, the restaurant will be serving chocolate ramen, made with a shoyu (soya sauce) ramen base, but with cocoa oil and a chocolate bar added to the dish. According to Japan’s Get News, the cocoa oil gives the ramen a soothing chocolaty aroma, while the hot soup melts the chocolate bar to give the broth a milky, chocolaty flavor. Some Twitter users in Japan have feedback that the concoction is “unexpectedly good.” If you’re in the Land of the Rising Sun and keen to try a bowl, each serving costs JP¥520 (US$5).